Home Cardio-metabolic Lighten the sugar load this Easter with a delicious recipe alternative! Chocolate eggs in every size, bunnies as big as your head and the smell of freshly baked hot cross buns – Easter and all of its tasty treats has well and truly arrived. With all of these temptations around, choosing a healthier option can be harder, and the likelihood of riding a sugar-induced rollercoaster higher. But never fear, it is possible to enjoy a sweet treat and stay on track with your health goals. 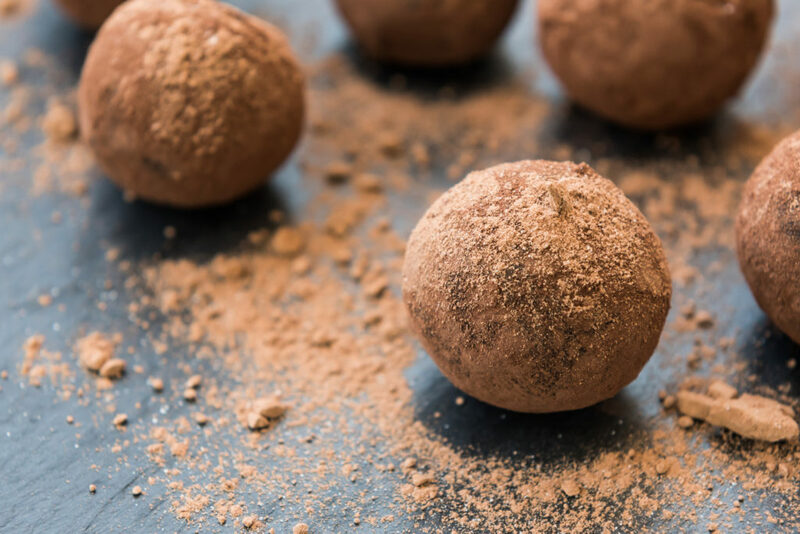 Read on to learn how too much sugar causes unwanted symptoms, my top tips for preventing them, and an example of how you can put these tips into action with our Easter Chocolate Truffles recipe! First, a primary reason people search for healthier alternatives to sugar, is the side effects indulging can cause. These include symptoms such as fatigue, irritability, brain fog or headaches. Maybe you’ve experienced these in the past too? If so, these symptoms are the classic side effects of riding a treat-induced blood sugar rollercoaster. Your ride starts when you consume a food high in sugar, such as Easter eggs, or refined carbohydrates (which break down into sugar), such as hot cross buns. This sugar is absorbed into your bloodstream, increasing the level of sugar in your blood. If the level increases too high or too fast, the body swiftly packs away the sugar into your cells so it can be stored for later when you require energy. This rapid activity can then cause the level of sugar your blood to drop below normal, causing a blood sugar crash. Now your blood sugar level is too low, which means there isn’t enough sugar to fuel your cells, and the symptoms of fatigue and irritability we discussed above begin to occur. Instead, balancing your blood sugar levels provides a consistent source of energy to the body, stabilising your energy and brain function, and preventing that rollercoaster of sugar highs and lows. Most of all, these low blood sugar levels cause your body to demand more sugar to normalise the level of sugar in your blood. 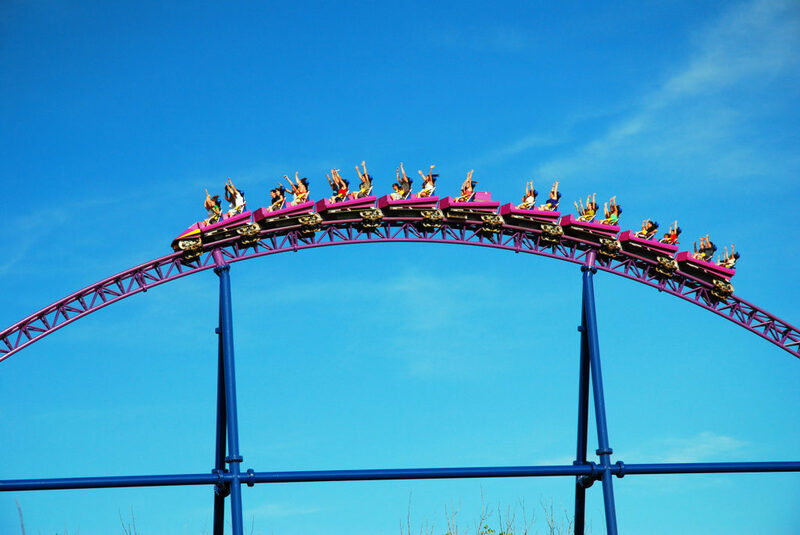 This can manifest as a sugar craving, which has you eating more sugar, and hopping into the rollercoaster to start the whole ride again! Instead, balancing your blood sugar levels provides a consistent source of energy to the body, stabilising your energy and brain function, and preventing that rollercoaster of sugar highs and lows. Additionally, balanced sugar levels go a long way towards eliminating those cravings that pop up and encourage more Easter feasting. So how do you create balanced blood sugar levels? Fill up on protein and good fats, which slow the entry of sugar into the bloodstream, preventing those big sugar highs or lows. They both help increase feelings of fullness (satiety), making your body less interested in seeking out sweet snacks in the first place. Foods high in protein include meats, seafood, nuts, seeds, eggs and legumes, and fats can also be found in meats, seafood, nuts and seeds and eggs, plus coconut, avocado and healthy oils (e.g. olive oil). Consume cinnamon and cacao, which help sugar move steadily from your bloodstream into your cells, stabilising your blood sugar levels.,  They both make for a perfect addition to porridge, smoothies, yoghurt or baked goods. Avoid sweet drinks such as juices, soft drinks and cordials. As they are liquids, they are rapidly taken up by your body, allowing them to quickly spike your blood sugar levels. Opt for some soda water with lime or herbal tea instead. 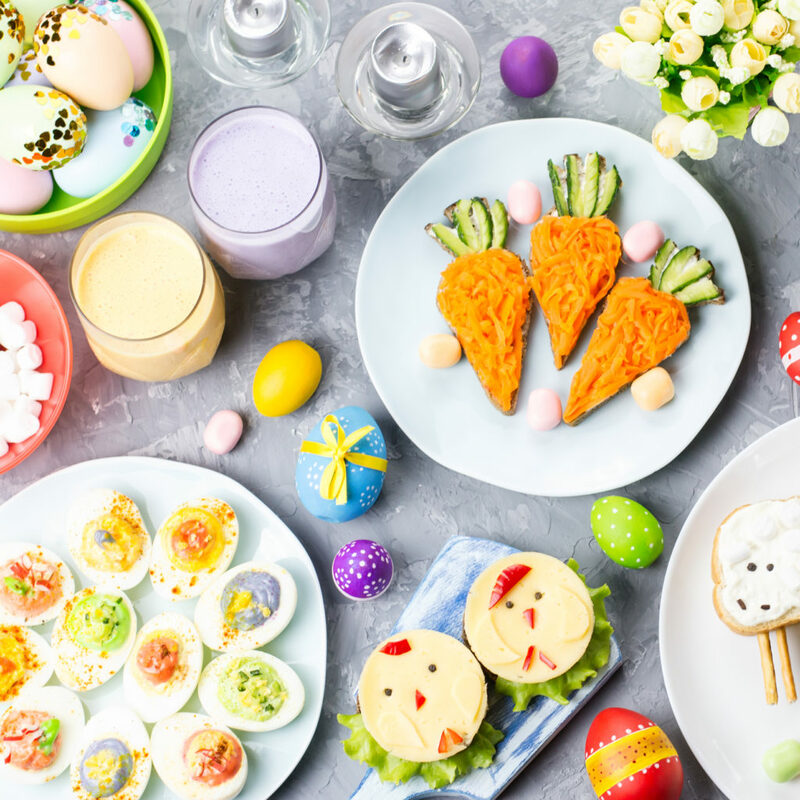 For even more suggestions on how to remain on track with your healthy habits this Easter, click here to read the blog, ’15 Tips to Prevent Holiday Weight Gain’. 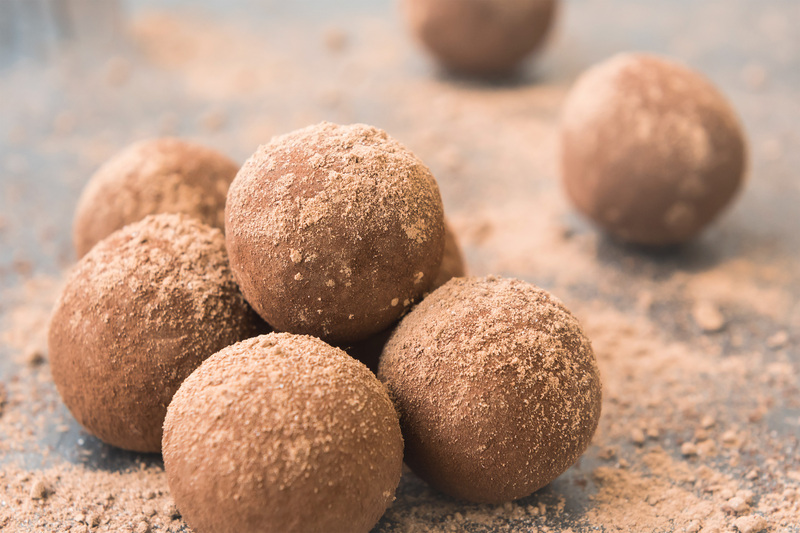 To put some of the tips above into action, give these chocolate truffles a go this Easter. Combining protein, healthy fats and cacao, they’re healthy, sweet and blood sugar balancing all rolled into one! In a bowl, combine BioPure protein powder with the almond meal, stevia and cacao powder. Mix until combined. Add coconut oil and nut butter in saucepan, stirring over a low heat until melted. Combine oil mixture with the dry ingredients, evenly mix. Stir in a tablespoon of water at a time until mixture reaches a doughy consistency. Roll mixture into 12 even sized balls and place on a tray. Refrigerate for an hour before enjoying. The countless array of sweet Easter options can make it easy to be lured onto the blood sugar rollercoaster. However, it’s time to say goodbye to the overindulging that leaves you feeling sluggish, lethargic and moody, by simply making some changes to your food choices. Selecting foods that help you balance your blood sugar levels, like protein, good fats and cacao, can prevent the over-indulging of chocolate and hot cross buns, and keep you feeling your best. To put this into action, make a batch of the healthy Easter Chocolate Truffles this Easter – your tastebuds and body will thank you for it! Mollazadeh H, Hosseinzadeh H. Cinnamon effects on metabolic syndrome: a review based on its mechanisms. Iran J Basic Med Sci. 2016 Dec;19(12):1258-1270. doi: 10.22038/ijbms.2016.7906. Cordero-Herrera I, Martín MA, Bravo L, Goya L, Ramos S. Cocoa flavonoids improve insulin signalling and modulate glucose production via AKT and AMPK in HepG2 cells. Mol Nutr Food Res. 2013 Jun;57(6):974-85. doi:10.1002/mnfr.201200500. BAppSc (Psych) BHSc (Nat) GradDip (Edu) Julia is a degree-qualified Naturopath who believes in fusing Naturopathic skills with cutting-edge scientific research to help practitioners and their clients understand the cause of their condition and set them on the path to wellness. With tertiary qualifications in psychology and education, her combined knowledge and clinical experience has lead Julia to develop a particular interest in mental health and stress disorders, where she has identified a growing need for preventative care and support in the area of emotional well-being.